Cost-effective marquees for commercial or industrial use. Do you need additional industrial business space? Weatherill Brothers design and build cost-effective marquees for all types of UK businesses, from event and party spaces to more commercial and even industrial clients. Using only the very best quality durable materials, we hand make and custom build all our marquees to clients’ specifications. If you’re looking for an affordable way to create more space for your growing company, then a semi-permanent marquee could be exactly what you’re looking for. Industrial marquees make excellent storage space for materials, vehicles and other items. They provide safety and security, plus added protection from the weather and elements. With secure door and wall options, and a hard-wearing build quality, you can be sure your materials are safe and secure. If you’re looking for additional storage space but can’t afford new premises or build costs, then industrial marquees from Weatherill Brothers are a great option. 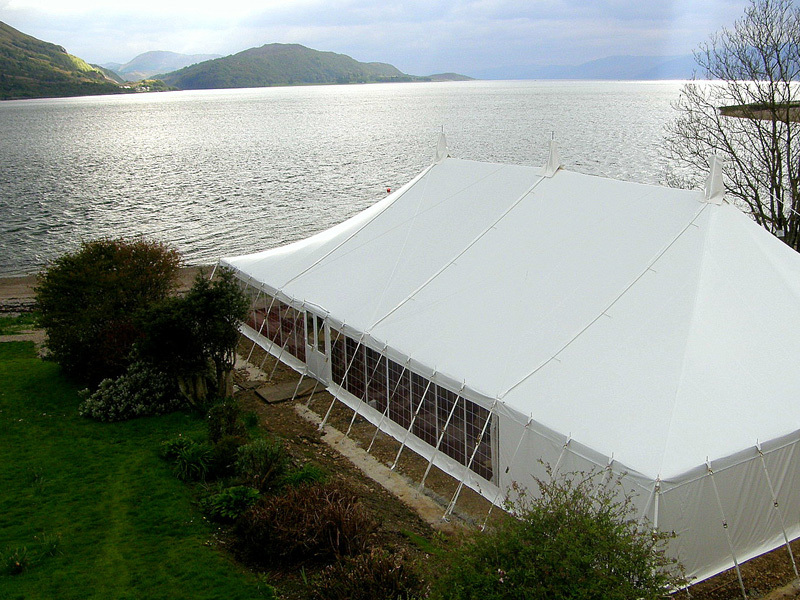 We’ve been making marquees since the 1950s and our skilled team of craftsmen can create a marquee of any size or shape for your needs. Simply get in touch with a member of our team to find out more about how we could help you and your business grow.